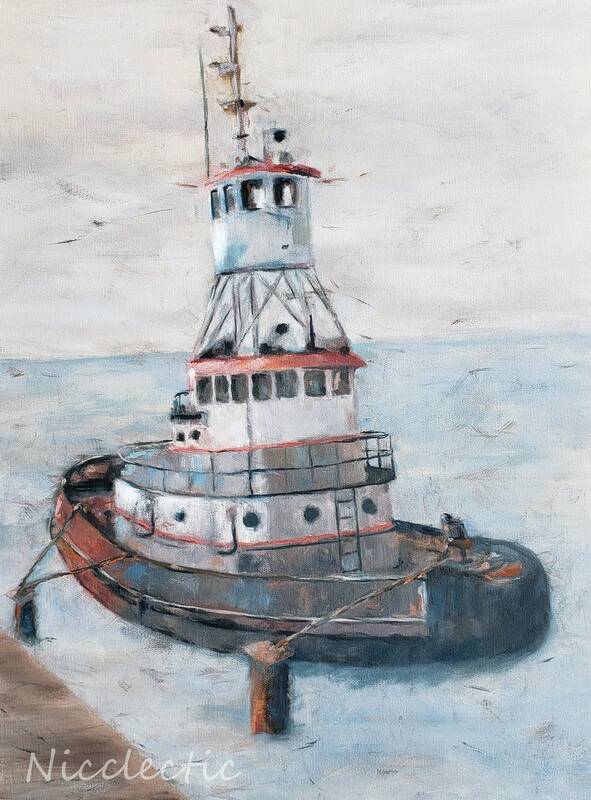 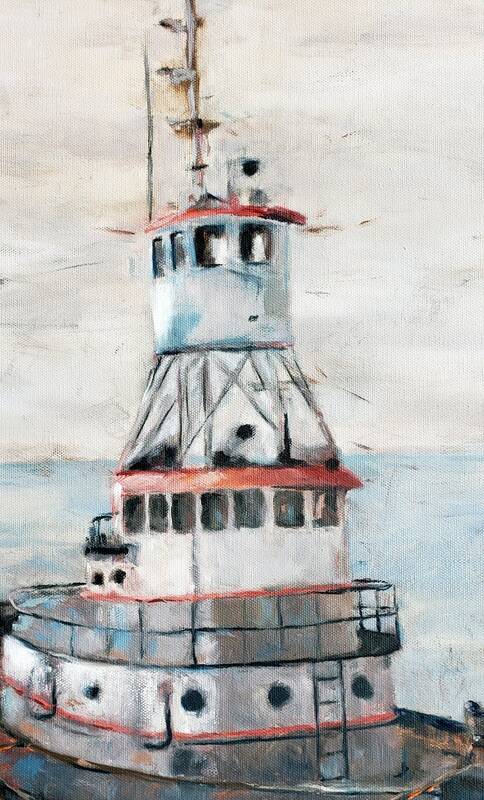 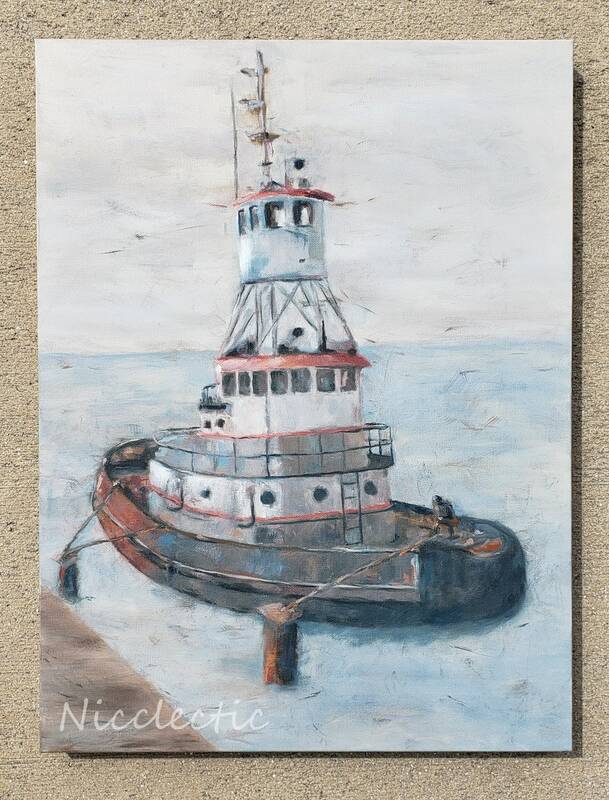 This tug boat is an original oil painting is sized at 18 inches wide x 24 inches high, on heavy duty, 100% cotton duck, archival quality canvas. 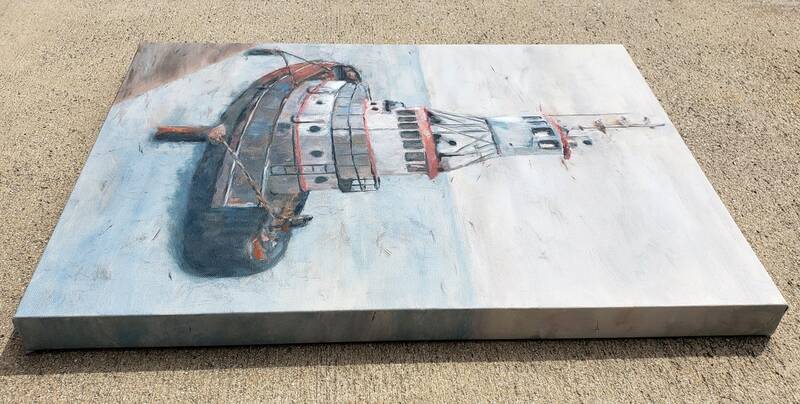 It is stretched over a thick frame, so it's 1.25" deep. 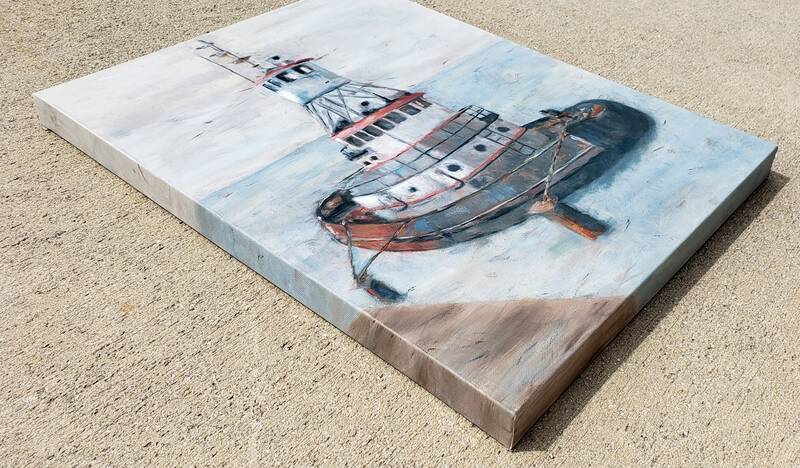 The painting has been continued over the sides for a finished look!